A new study found that screen time can be a helpful tool for teaching your kid things, as long as you don't check out during it. 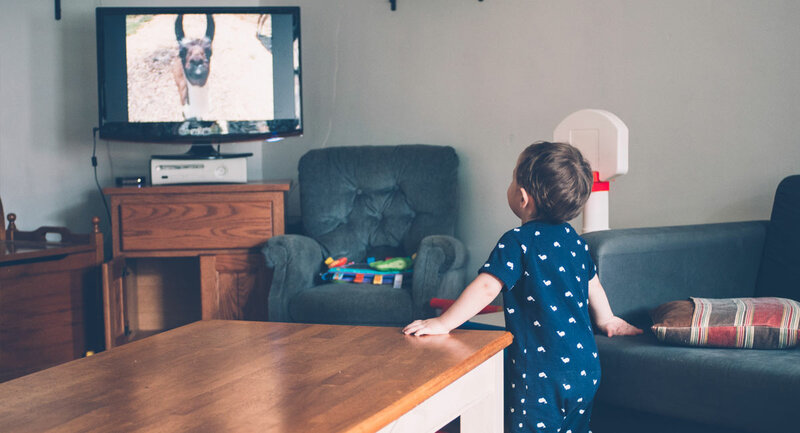 There’s plenty of research out there to make parents scared of screen time, but a new study published in the journal Child Development found that you only have one thing to fear, and it’s not fear itself. It’s ghosts! Or rather, it’s “ghost demonstrations,” a common feature on kids apps where the technology walks your youngster through the process of a puzzle or game. Researchers broke toddlers (age 2-to-3) into 2 cohorts: One learned how to complete a 3D puzzle through automatic ghost demonstration on screen. The other learned from good old-fashioned human help. When both groups were later tested on the puzzle, kids who learned through people performed significantly better. This echoes the AAP’s most up to date screen time recommendations, which stresses the importance participating in media it with your kid. You already knew this, but your work is never done. Rachel Barr, a professor at Georgetown and one of the authors of the study, explains that in this case, parents act as “social scaffolding” and support their kids’ learning. If you have to be compared to construction equipment, it’s better than a bulldozer. And don’t mistake tablet time for your free time. Of course teaching your kid to play independently is good for their development — but it can happen without an iPad in their hands.